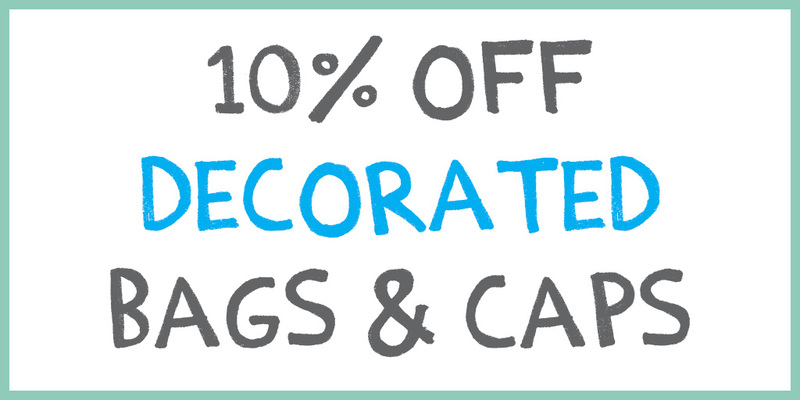 10% off all decorated Bags and Caps for School Trends school orders. Packed full of your favourite bags and caps with the added bonus of discount savings. Or two styles of caps as Pick ‘n’ Mix 3, to make up your required quantities. The more you order, the more you save! We have a wide range of bags and caps for every occasion. To ensure you qualify for your 10% discount, place your order between 1st January - 28th February 2018. Terms and Conditions- Printed bag quantities can be made up across all 7 styles of bags. Printed cap quantities can be made up of both baseball and legionnaires caps. Embroidered bags must be ordered in quantities of 25 per style. Orders must bear the same style decoration. This offer is not available for parent orders as a minimum of 25 bags is required.